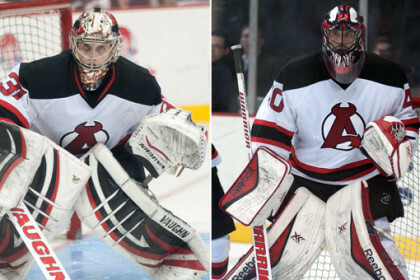 ALBANY, NY — The Albany Devils are riding the two-headed goaltending monster that is Scott Clemmensen and Scott Wedgewood. With the team pulling closer to that final Eastern Conference playoff spot, it’s hard to ignore their contributions during the last 30-plus days. Since Mar. 6, Clemmensen has allowed just 12 goals in eight appearances, going 4-2-1 with a 1.61 goals-against average and a .942 save percentage. Since Mar. 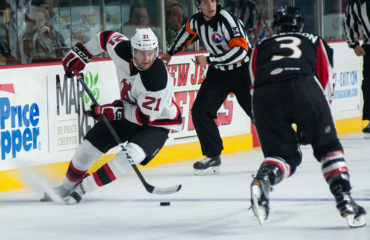 1, Wedgewood has allowed just 10 goals in seven outings, going 5-1-1 with a 1.46 goals-against average and a .948 save percentage. 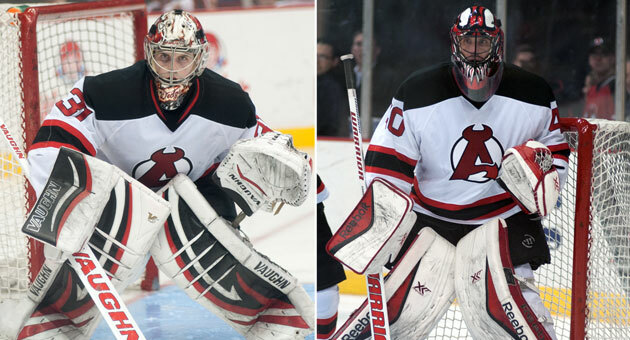 For the year, Clemmensen is 9-10-2 with a 2.37 goals-against average and a .914 save percentage and Wedgewood is 12-13-6 with a 2.69 goals-against average and a .905 save percentage.